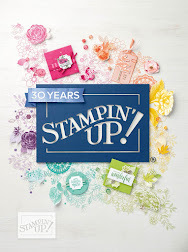 Just have to say: I love Project Life and Stampin' Up! together. Project Life is a simpler way to scrapbook your memories in photo pockets with cards. 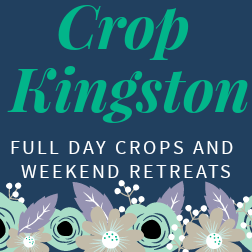 I find it really simple to print my pictures, choose my filler cards (unless I have every pocket filled with a picture - and sometimes I really do have that many photos!) and embellish a little if needed. The above photo is a page from my 2014 album. 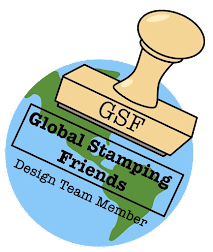 Have a peak online here to see all the Project Life items that are available from Stampin' Up!. 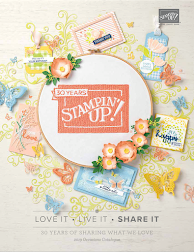 Accessories: Paper Doilies, Rhinestones, Stampin' Dimensionals, MDS to create the flags with journaling on the picture.